Bill Indursky. “Subject: Re: Emil Carlsen Archives. [About the provenance of work sold by Hirschl & Adler Galleries]” Message to Eric Baumgartner. June 23, 2015 at 12:18 PM ; June 29, 2015 at 4:42 PM ; June 30, 2015 at 1:54 PM ; June 30, 2015 at 3:38 PM ; June 30, 2015 at 7:44 PM. Series of five email exchanges. 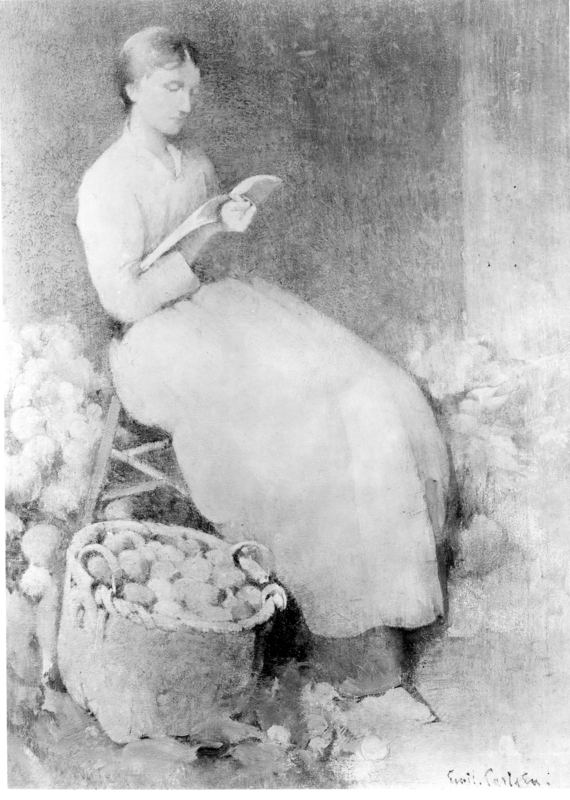 – This exchange was to clarify provenance information from the Whitney Museum’s Carlsen, Girl Reading, ca.1897. 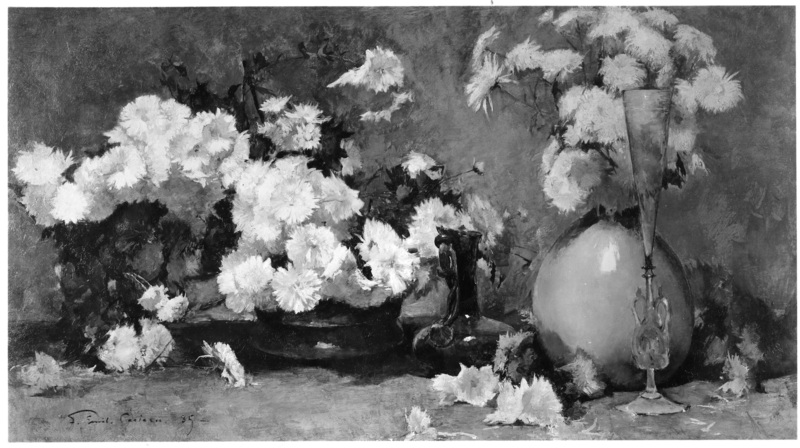 My name is Bill Indursky and I am the director of the Emil Carlsen Archives, a not-for-profit organization dedicated to the preservation of Danish-American Impressionist/Realist painter Emil Carlsen [1848-1932]. The archive is the largest visual record of the artist’s work in the world with over 1000 works documented. They contain original documents and records for more than 600+ exhibitions of his work. I know over the years you have handled many Emil Carlsen paintings. Currently we have your gallery handling seven works and I am sure there are many more. We would love to get any exhibition history, provenance, etc. for any of the paintings you have worked with of Carlsen’s. You of course can leave off your current customer’s name & location from the provenance (we are not doing this for any monetary gain). We are trying to work up a complete list of his works and preserve them for the future as well as provide today’s artists with large images for inspiration. If you could view the site: http://emilcarlsen.org at let us know which works you handled and any other information that would be greatly appreciated! Watercolor on paper, 12 x 10 in. Oil on canvas, 48 3/4 x 42 in. 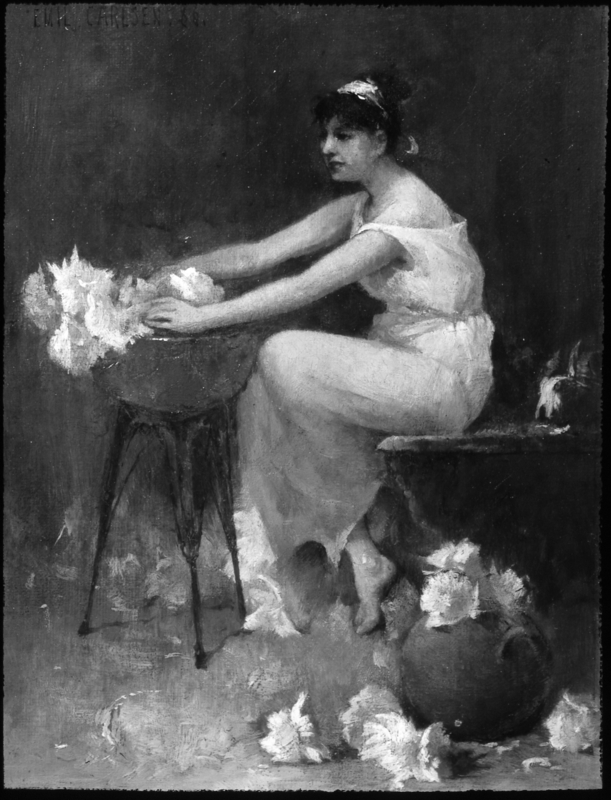 NOTE: A study for this painting is in the collection of the Whitney Museum of American Art, New York. Oil on canvas, 11 5/8 x 8 1/2 in. Oil on canvas, 25 3/4 x 46 1/4 in. Oil on canvas, 34 3/4 x 24 3/4 in. Oil on canvas, 15 7/8 x 14 7/8 in. Oil on canvas mounted on panel, 8 1/2 x 6 1/2 in. Oil on canvas, 18 1/2 x 14 1/2 in. 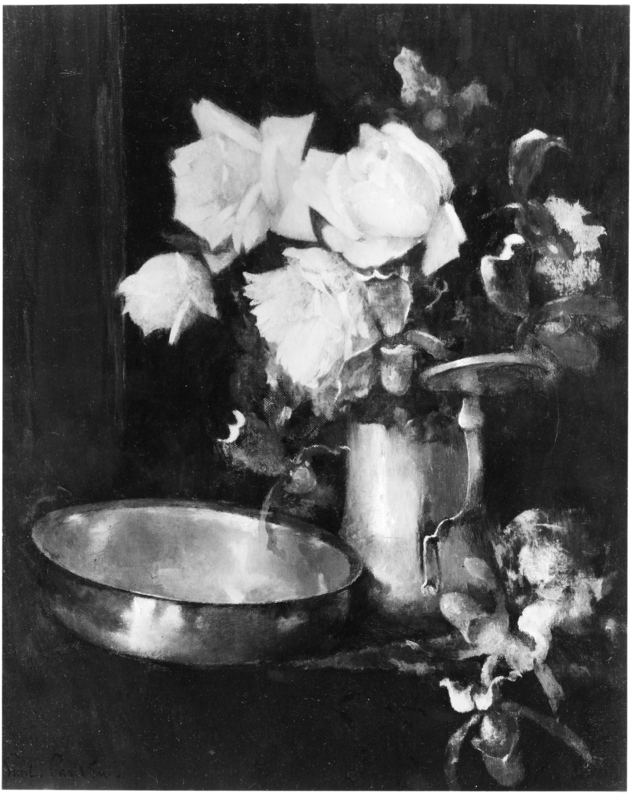 EXHIBITED: Wortsman Rowe Galleries, San Francisco, California, and traveling, 1975, The Art of Emil Carlsen, 1853–1932, p. 69 no. 40, illus. 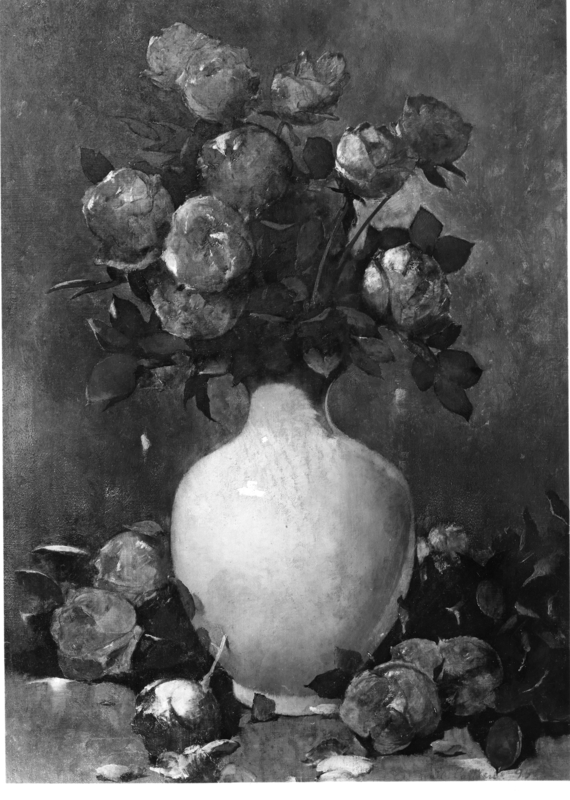 // Hunt Institute for Botanical Documentation, Carnegie-Mellon University, Pittsburgh, Pennsylvania, April 5–July 30, 1976, American Cornucopia: 19th Century Still Lifes and Studies, p. 37 no. 55, illus. Many thanks for the information. We have now updated our records. Seems your provenance conflicts with the Whitney Museums. 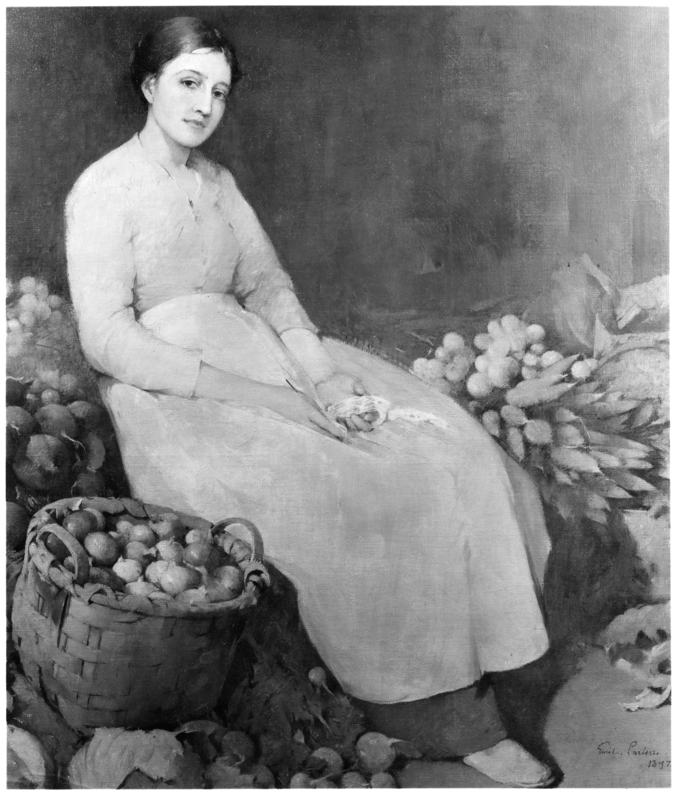 Could there be a mistake as the other painting (Girl with Apples, 1897) looks so similar? 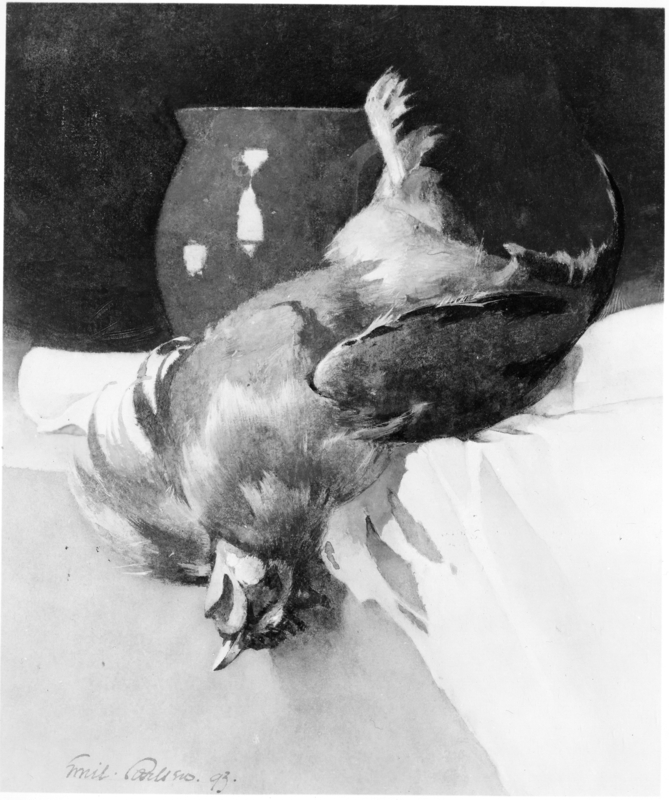 I rechecked the Wortsman-Rowe Catalog and it claims that this painting was loaned from Hirschl & Adler. I don’t know what to say about Carlsen’s Surf Breaking. We have no record of it, but I suppose that the record could be lost. With respect to Girl Reading, it is a little confusing to decipher our hand-written stock inventory cards, but the provenance that I provided you was my best interpretation from the information available. However, a closer look at the card suggests that the picture had a label from the Horowitz collection that said, “Source: Hirschl & Adler Galleries.” This indicates that we handled the picture more than once. Since our records don’t explicitly state that the Horowitzes were the ones who gave the painting to the Whitney, I removed the “to” between them. This would allow for the Fraads’ intermediate ownership, as per the Whitney’s provenance. 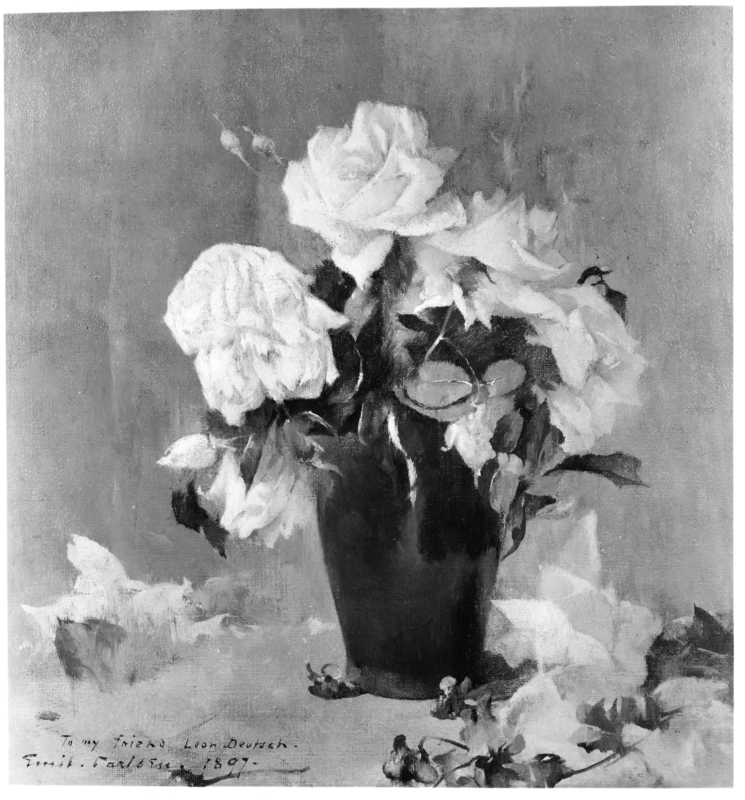 The Horowitzes and the Fraads were good friends, so it is likely that the painting passed between the two collections directly (thus warranting a “to” as a link). But since we have no way of knowing this, I guess that it’s prudent to leave it out.